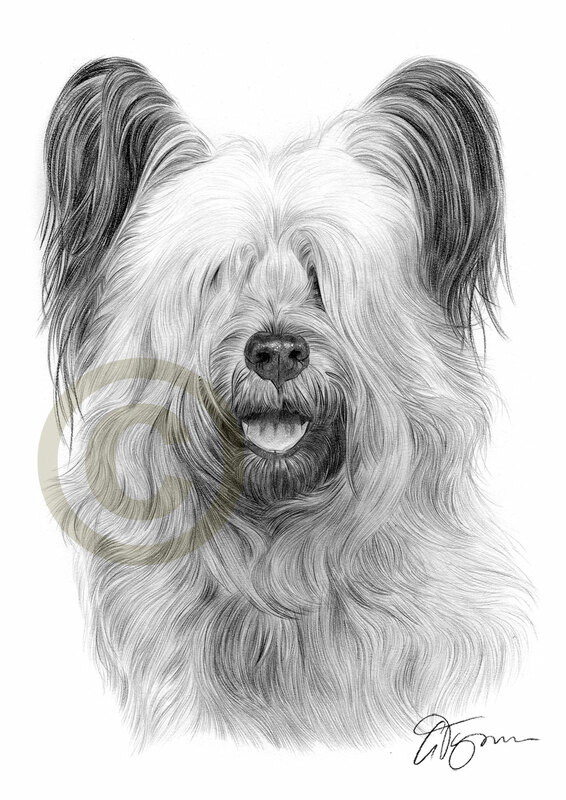 Heres a recent pencil drawing portrait of an older dog called Sweep, completed with black watercolour pencil. Click for a larger view. 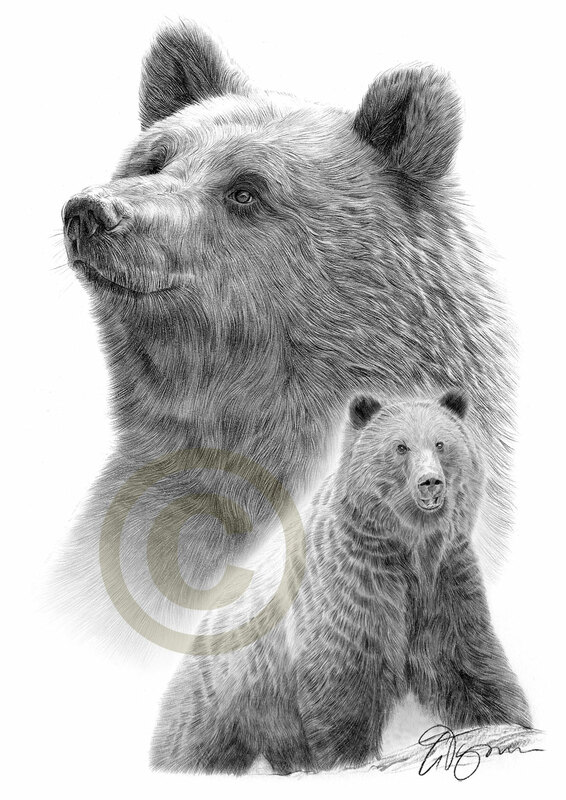 Heres a recent pencil drawing of two Grizzly Bears, completed with A3 watercolour pencil. 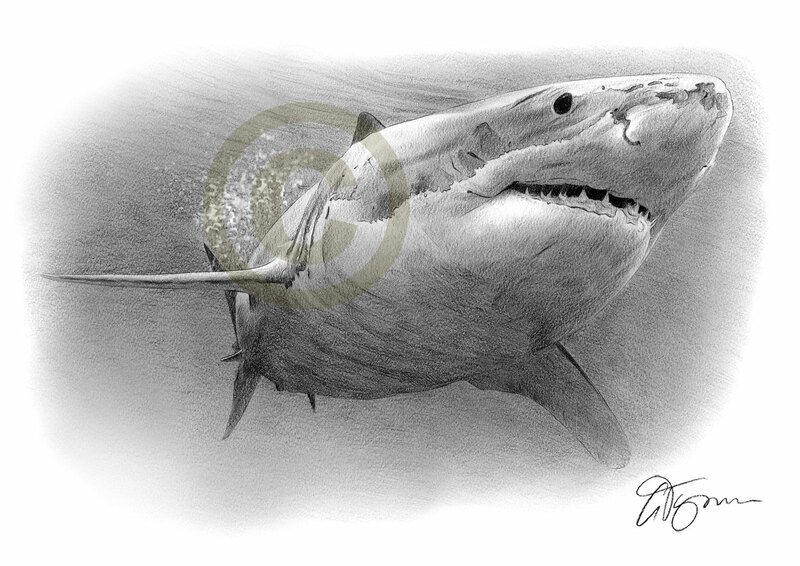 Prints are available on my website http://www.garytymon.com and is available in A3 only. 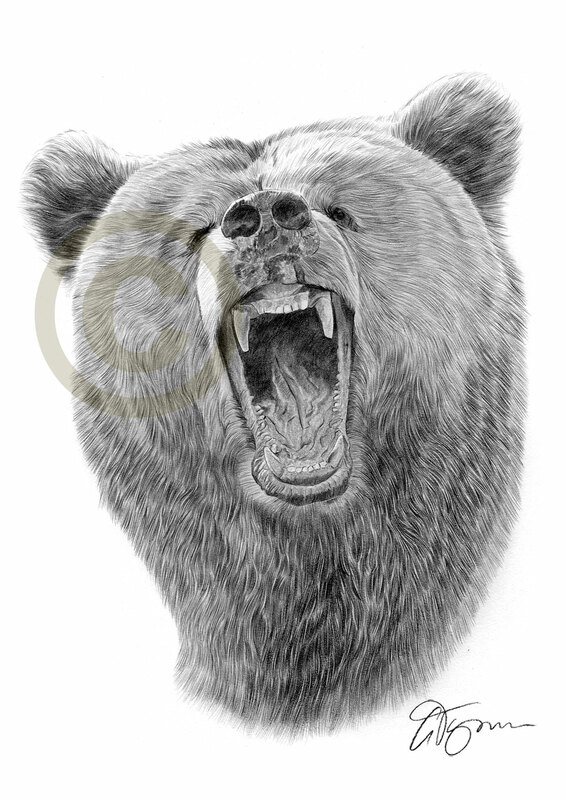 The larger bear is from a earlier drawing, the full-body bear is only available on this print. 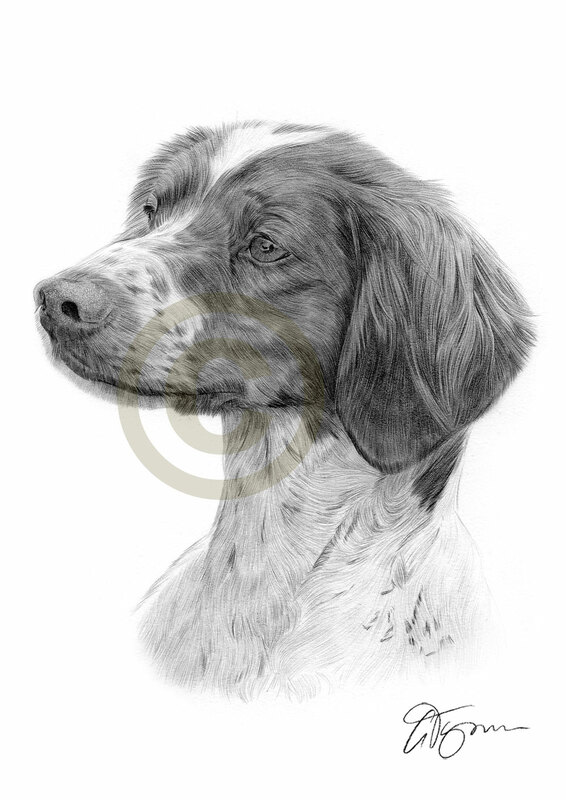 Heres a new pencil drawing available on my website http://www.garytymon.com of a Brittany Spaniel, completed with black watercolour pencil on watercolour paper. 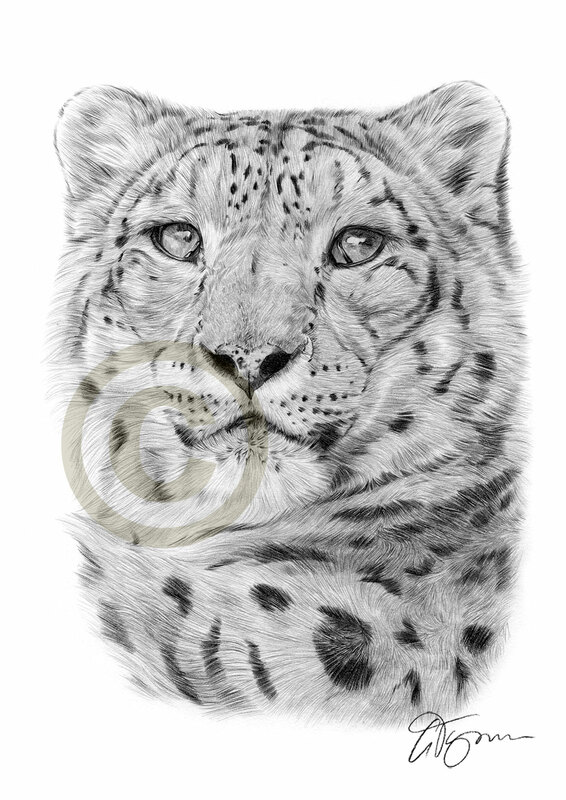 Click for a larger view..
Heres a recent pencil drawing of a Snow Leopard, completed with black watercolour pencil. 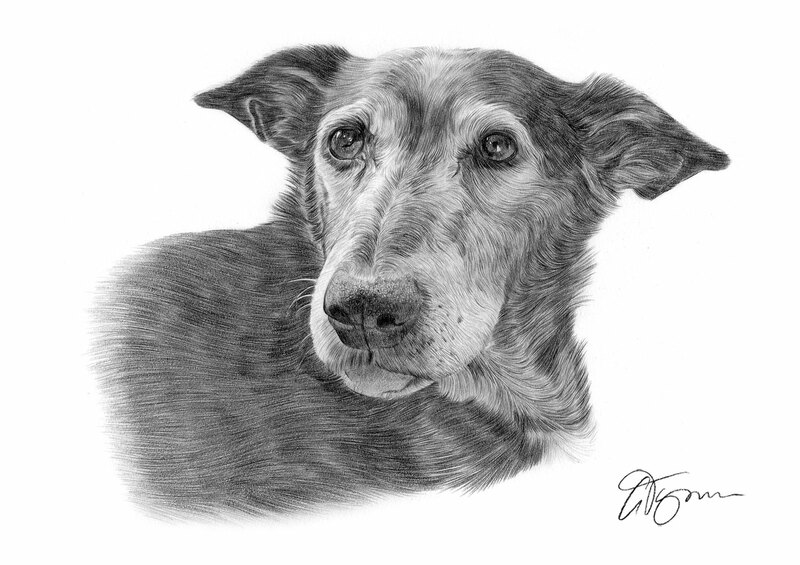 Prints are available on my website at http://www.garytymon.com. Click image for a larger view.